Getting ready to throw a party? 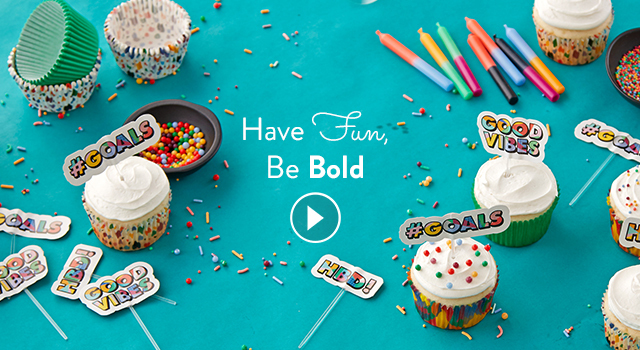 Bring it on with bright colors, bold patterns and fun phrases from our collection of Limited Edition products. There are cupcake liners and toppers, candles, cake banners, patterned tin steel bakeware, icing decorations and sprinkles to make your celebration one that your guests will always remember.